1958: The Land-Rover underwent a major redesign with the Series II. It kept the 88" and 109" wheelbases that had come in with the later Series Is; the most visible changes were to the bodywork which was wider with a "waist" and had "modesty panels" on its lower edge to hide the chassis. The (Series I) 107" station wagon continued in production until a Series II 109" 10-seat station wagon was introduced in 1959. 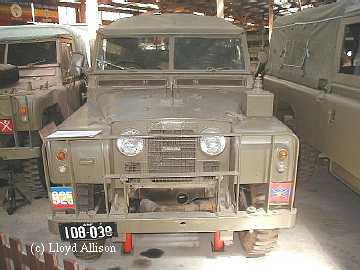 Some early Land Rover Series IIs had the 2-litre engine from the Series Is fitted, but the new 2286cc (nominally 2.25L) petrol engine was standard. The diesel engine continued at 2-litres until the Series IIA Land-Rover was introduced in 1961. There is little that is obvious to distinguish a Series II from a IIA, but the steering arms are attached to the top of the swivels on a II and to the bottom on a IIA.